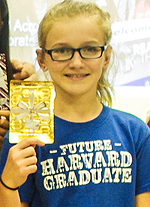 Harvard ES fifth-grader Callie Bream took home a gift card for $150 as the inaugural first-place prize winner of a new monthly video contest. Keeping email accounts secure with strong passwords is an important aspect of responsible digital citizenship, and students from two HISD schools have demonstrated their mastery of this concept by winning the top prizes in a video production contest co-sponsored by the Future of Privacy Forum (FPF) and HISD’s Educational Technology team. Harvard Elementary School students won four of the five prizes available (first and second, as well as two honorable mentions), while a student from Eastwood Academy took home the third-place prize. This entry was posted in District I - Elizabeth Santos, District VIII - Diana Dávila, Elementary Schools, High Schools and tagged digital citizenship, Eastwood Academy, Future of Privacy Forum, Harvard ES on November 19, 2015 by HISD Communications. Laura Alaniz has been named the new principal of Harvard Elementary School. 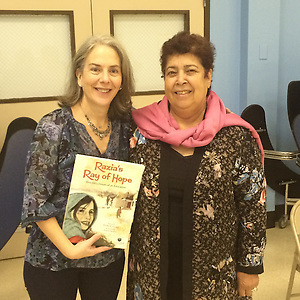 She previously served as the principal at Gabriela Mistral Center for Early Childhood for five years. 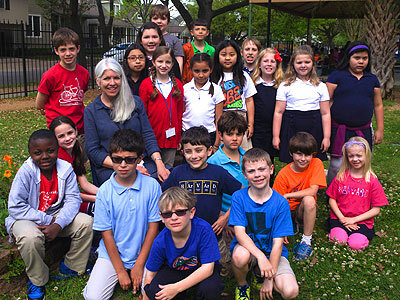 Under her leadership, the school established a working collaboration with Rice University to create the Rice Oral and Written Language Lab, which operates as a teaching lab for educators in the greater Houston community. Alaniz has an extensive career in education. She has served as an elementary teacher, a bilingual evaluation specialist, a parent involvement manager, and an assistant principal at a comprehensive high school. 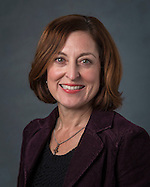 Laura received a bachelor’s degree in education from Our Lady of the Lake University and a master’s degree from the University of the Incarnate Word. This entry was posted in District I - Elizabeth Santos, Elementary Schools, Staff updates and tagged Harvard ES on July 14, 2015 by HISD Communications. This week marks the end of Autism Awareness Month, so we asked some of our parents of students with autism about their families’ experiences with HISD, to find out what they felt contributed the most to their students’ successes. 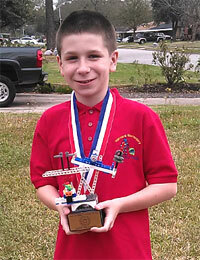 Noah poses with a trophy he won in a robotics competition. Kristi Anders, the parent of a 12-year-old who is finishing up his last year in elementary school, says her son has flourished at two different campuses due to the inclusive environments created there by caring staff members. This entry was posted in District I - Elizabeth Santos, District IX - Wanda Adams, Magnet/School Choice, Parents, Special Education, Teachers and tagged autism, Garden Oaks Montessori, Harvard ES, Worthing HS on April 30, 2015 by HISD Communications. 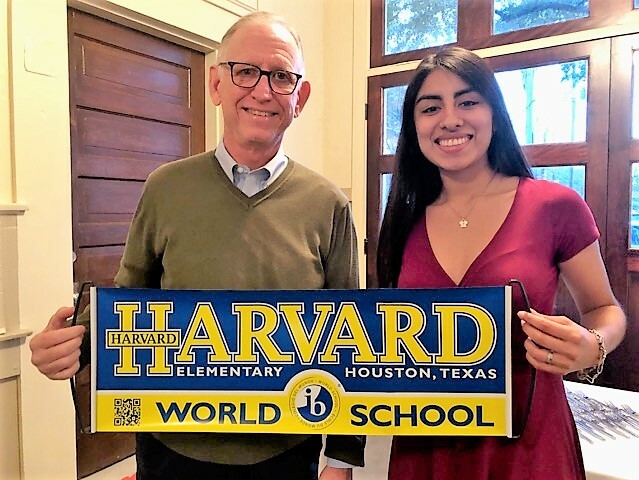 In this week’s edition of I am HISD, which features district students, graduates, employees, and other team members, Harvard Elementary School third-grade teacher (and former District I Board of Education member) Karla Cisneros talks about how she went from the classroom to the boardroom and back again, the greatest gifts of her experience as a trustee, and if she’d ever consider running for that office again. You represented District I on HISD’s Board of Education for five years in the early aughts, even serving as its president one year. Now you’re teaching third-graders at one of our elementary schools. How did that transition come about? Well, I was not a certified teacher before. I was just sort of a mom who got pulled in. They hired me at Travis Elementary to be a part-time science teacher, and one thing just led to another. After I left the board, I was going to work with my husband, but I realized I wanted to be back in education at kind of a grass-roots level, so I went back to school and got certified. And I really, really, really like being a teacher. The best part of all is the kids, but then, that’s always the best part. I knew when my own children grew up and moved on that I was going to hate being an empty nester, but so much of teaching is not just about teaching. It’s about helping usher children through their lives, not just the curriculum. This entry was posted in Board of Education, District I - Elizabeth Santos, Elementary Schools, I Am HISD, Teachers and tagged Harvard ES, I Am HISD on April 1, 2015 by HISD Communications. Whether you’re five, 15, or 55 years old, it can still be a thrilling experience to meet someone who actually created a book you enjoyed. If it makes a big enough impression, the experience can even make you a reader for life. That’s why a number of HISD schools regularly invite popular authors to visit their campuses as part of the district’s literacy initiatives, such as Harvard ES, Patterson and Red elementaries, and Burbank Middle School. 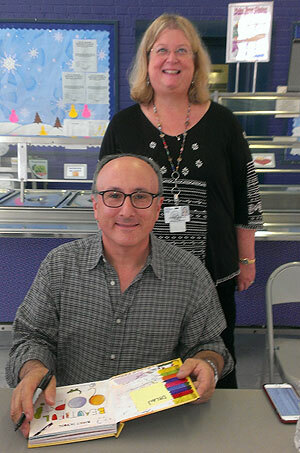 Barney Saltzberg was the latest writer/illustrator to bring inspiration and encouragement to students. He came to Memorial Elementary School on Feb. 13. This entry was posted in District I - Elizabeth Santos, District III - Sergio Lira, District IV - Jolanda Jones, District VII - Anne Sung, Literacy and tagged Burbank MS, Harvard ES, Literacy By 3, Memorial ES, Patterson ES, Red ES on February 18, 2015 by HISD Communications. Harvard Elementary students learned what some students in Afghanistan deal with on a daily basis, straight from a woman who founded an all-girls school in a rural area of the country. This entry was posted in District I - Elizabeth Santos, Elementary Schools, Global Education and tagged Harvard ES on November 12, 2014 by HISD Communications. Reagan High School and Hogg Middle School are officially celebrating their new status this week as International Baccalaureate (IB) World Schools, the latest HISD campuses to receive official authorization. After receiving approval July 5, the schools were able to begin offering the rigorous IB program when the new school year launched, creating the first continuous IB feeder pattern in the historic Houston Heights. Students begin the IB Primary Years Programme (PYP) at Harvard Elementary and progress to the Middle Years Programme (MYP) at Hogg and Reagan. This entry was posted in Elementary Schools, High Schools, Middle Schools and tagged Bellaire HS, Briargrove ES, Briarmeadow Charter, Durham ES, Fondren MS, Grady MS, Harvard ES, Herrera ES, Hogg Ms, IB, International Baccalaureate, Lamar HS, Lanier MS, Northine ES, Poe ES, Reagan HS, River Oaks ES, Roberts ES, Rodriguez ES, Rusk School, School at St. George Place, twain es, Wharton ES on November 14, 2013 by HISD Communications. Students and staff at Harvard Elementary School put together an energetic video to celebrate Katherine Applegate, author of the 2013 Newbery Medal winner The One and Only Ivan, visiting the school on Oct. 29. Applegate read from her award-winning book and discussed it with students. Her visit is the highlight of the school’s annual “One Book, One School” project, which strives to create a sense of community among all Harvard students through the shared experience of reading a work of literature. This entry was posted in Elementary Schools and tagged Harvard ES, Katherine Applegate, One and Only Ivan on November 4, 2013 by HISD Communications. Reagan High School and Hogg Middle School are the two latest HISD campuses to receive official authorization to operate as International Baccalaureate World Schools. The announcement, which came on July 5, creates the first continuous IB feeder pattern in the historic Heights neighborhood. Students now can begin the IB Primary Years Programme (PYP) at Harvard Elementary and then progress to Hogg Middle School and Reagan High School for the IB Middle Years Programme (MYP). This entry was posted in Elementary Schools, High Schools, Magnet/School Choice, Middle Schools and tagged Bellaire HS, Briargrove ES, Briarmeadow Charter, Durham ES, Fondren MS, Grady MS, Harvard ES, Herrera ES, Hogg Ms, IB, International Baccalaureate, Lamar HS, Lanier MS, Northline ES, Poe ES, Reagan HS, River Oaks ES, Roberts ES, Rodriguez ES, School at St. George Place, twain es, Wharton ES on July 17, 2013 by HISD Communications.